Icon DJ/Producer 3LAU showed up to throw down this past Monday at The Grand Nightclub in Boston’s Seaport. Accompanied by fellow artists CID and Justin Caruso, November is off to a sensational kickoff at The Grand. Despite taking place on a Monday, there was no one quite like 3LAU to rally up a full nightclub of thrilled dance music fans, all excited to experience a night jam packed with festivities and this time around, purpose. Celebrating his efforts with F Cancer, all the proceeds from his performance at The Grand were donated to this charity. One organization 3LAU works with often, F Cancer strives to prevent and detect cancers, and unite the authentic community who shares a visceral response to cancer. Justin Blau, aka 3LAU, remains a leader in the dance music industry as he maintains his primary goal of helping others. Growing up, Justin was instilled with values surrounding the importance of charitable work, which is why his career in music is forever in tandem with helping others. In 2016, Justin launched Blume Records, an independent Record Label that boasts its groundbreaking model which harnesses the power of streaming to raise money for charitable causes. Openers CID and Justin Caruso set the tone for the rest of the night, both taking the stage with booming auras of energy. From his hometown in New York where he first began spinning at major events, to now touring internationally, CID took on Boston with the same amount of hype he brings across the globe. Having hugely successful collaborations with Kaskade on “Us” and “Sweet Memories,” CID gave The Grand a full dose of his extensive discography from his team ups to original records. Up next was Justin Caruso, who has previously toured with industry leaders like The Chainsmokers and Tiësto, and now can add 3LAU to his repertoire of performing with electronic music treasures. From featuring songs like “SHY” by The Magician, to carrying the night with his recent collaboration track with Jake Miller “Don’t Know You,” Caruso showcased his natural ability to own the stage and get the entire crowd moving. After playing major festivals such as EDC Las Vegas and Billboard Hot 100, Caruso is on a roll in projecting his variety of musical talents whether in front of these thousands of fans, or more intimate club shows like The Grand. With Boston now bumping at full capacity, 3LAU jumped on stage and came well equipped with an arsenal of songs for fans to go absolutely wild to. Alongside an aura of entrancing visuals behind the booth, 3LAU brought his A-game when it came to interacting with everyone on the dancefloor and taking us through another whimsical journey through music. Dishing out a roster of heavy hitting mixes as well as filling the night with his classic anthems, 3LAU fused fellow producers songs like Zedd’s “The Middle,” Fedde Le Grand’s “Rhythm Of The Night,” Martin Garrix’s “Tremor,” and the ultimate banger “Sandstorm” by Darude, with his pure heartfelt tracks like “Is It Love,” “On My Mind,” “How You Love Me,” “On My Own,” and a whole slew more. Two of the more captivating moments of the night came along as 3LAU threw down “Save The World” by legendary trio Swedish House Mafia, as well as “Levels,” the song by Avicii that will forever go down in history. 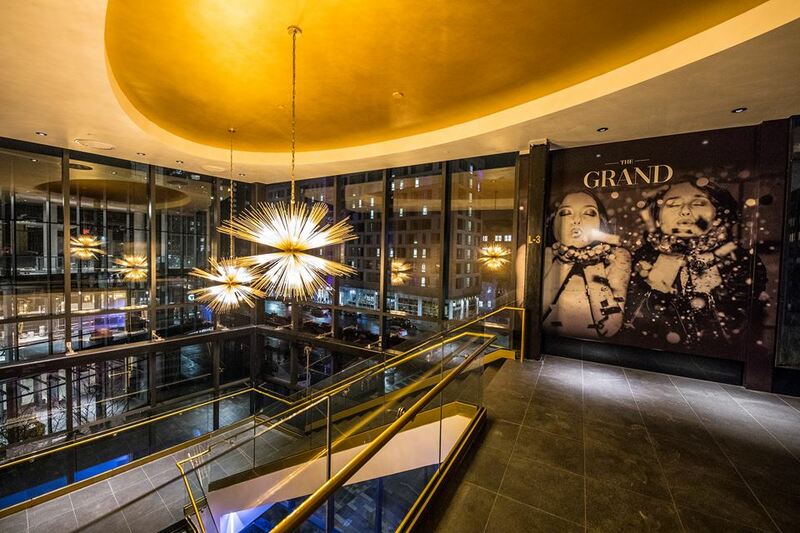 Yet another exhilarating night at The Grand, the nightclub continues to show Boston its 10/10 capability in reigning in top-notch artists from around the world. Its cutting edge audio and visual technology is coupled with its luxurious atmosphere and grandiose design, including numerous VIP areas as well as a spacious open dancefloor. DJs/Producers ranging from Tiësto, to Marshmello, to Steve Aoki, to Kaskade, to Illenium, just to name a few, have all swept through to give Boston’s electronic fans unforgettable experiences time and time again.